If you are outside of the US, you may not get all the fuss about American idol, or presidential elections, or any of that junk, but you get something better. FREE MONEY. Lots of it. 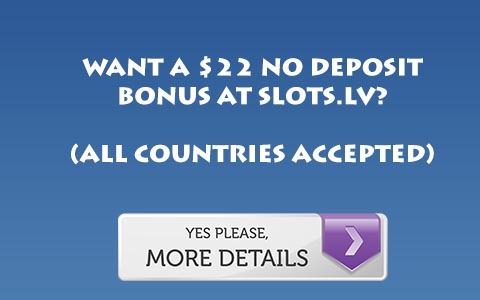 Several sites offer no deposit bonuses, and most of them are only open to Non American players. Before we get into the poker – I want to mention 3 casino no deposit bonuses that are really good. These are a great way to get your bankroll going and it doesn’t take that long. It used to be back in the day this was how people would pad their bankroll. While the wagering requirements aren’t as great as before – it’s no deposit so you can’t beat that. $25 no deposit – you just register and use the coupon code in the cashier. They have a browser based casino too which I’d recommend – the downloadable one is lacking in games. They also have European Slot Poker so you can get your poker fix there. Same guys that own Grand Parker Casino also own Classy Coin. Don’t worry – you’re allowed multiple accounts under them – as in one per casino, so no worries there. I actually had a ton of luck with these guys and was able to withdraw about $75 from the $25. Uses the RealTimeGaming software, same deal as before. Click this link and register then use the bonus code on that page in the cashier. Not cold hard cash – but I’ve always liked this better. You get a ton of free slot spins, and they e-mail you every day with a new bonus code for more free spins. It’s part of my morning routine now to be honest going in there while eating my breakfast and claiming whatever spins they sent me that day. Get free spins now with this link. PokerTime is offering $50 free. The first $30 is a no deposit bonus. You can unlock it $10 at a time. The final $20 requires a deposit. But right now this is the best free money offer on the internet. Click here to visit PokerTime. We are happy to offer 50 dollars free (with the possibility of up to 150 free) on Titan Poker through YPC. You receive 50 dollars free for signing up, then 50 dollars more for clearing 5,000 points, and after 10,000 points a final 50 dollars. To claim this money sign up for Titan Poker here . Rght now that is it, however we expect to be able to add more of the Best Poker Bonuses here in the future.